Hmm. 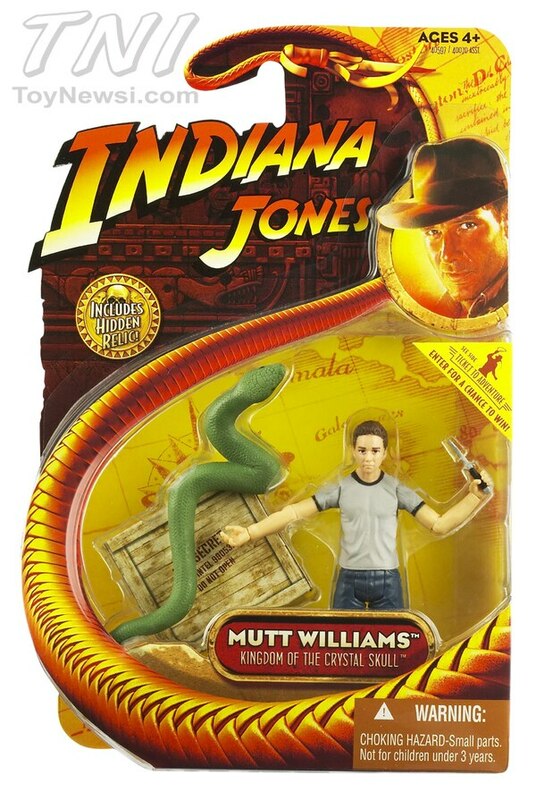 The first Mutt figure (with the snake) is like half the size of the second one ... I bet the first one is from a flashback. good to know the CDN packaging will look the same. Jeez, when are we going to see the rest of the deluxe stuff? I want more motorcycles. I don't know if anyone is having trouble finding these at retail or not, but I noticed that HTS has Wave 2 "in stock" and shipping within 7-9 business days. For some reason, the Wave 1 listings say they are shipping in June, which doesn't make much sense. Anyways, they are currently all up in stock, if you're still looking for something from this wave. Of course, there's the whole paint apps gamble with not seeing them in person I guess. These new figures work pretty well for Star Wars customs... I just posted a few that I did HERE. Found the last 3 that I needed to complete my Wave 2 today (Ugha, Irina, Dovchenko). They are just placed in different places in the bubble. They are the same height. Is anyone finding the Russian Soldier difficult to locate? I saw one the day they were released and hadn't seen another one until today. I think they're a huge reason you can't find German w/Motorcycle, German trucks, and German 4WD's as well. They're buying up Russians like we buy Stormtroopers. Some guys were gloating with how many they were ordering from TRU.com and it was pretty huge numbers. I've held off buying too many Russian Soldiers, simply because I'm cheap and I'm expecting a Russian 2-pack at some point. After all, they did the Germans in a 2-pack and are doing the Cairo thugs next, so you know the Russians will get their turn eventually. I think I've only seen the Russian soldier once and there may have only been one, maybe two, on the shelf. I've only seen the Dovchenko figure a couple of times but more than the basic soldier. I still haven't seen the Cemetary Warrior in person yet. I guess since I hit 2 different TRU stores, about 5 Walmarts and 4 Target stores, all on a semi regular basis, I haven't had a hard time finding the Russians. The hardest figure to find is Marion. But thankfully she's in the deluxe pack too, which is a much better buy anyway. I haven't had a hard time finding it all, but it does seem to be packed in at one per case. I haven't bought any of the KOTCS figures other than the two Indy figures at this point. Having seen and enjoyed the movie, I'm still not thrilled with the characters from an action figure perspective and I'm not interested at this point in having them in my collection, especially at $10 a pop, the retail up here. Not spending $70 and taxes is a lot more appealing right now than owning those figures. The only thing bugging me at all is not having the artifacts.